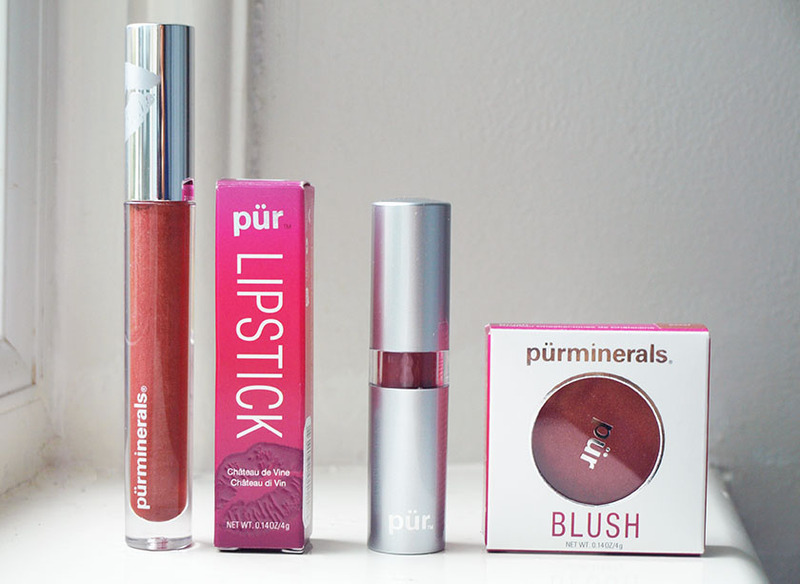 Pur Minerals are known for their skin friendly makeup products and this Spring they added even more goodness to their formulas. The new range features two wine-extract based ingredients: Resveratrox and Vitisin, both packed with anti-oxidants. The collection includes cream and powder blushers, lipsticks and lip glosses, all absolutely gorgeous! I adore the formula of this lipstick. It can be applied sheer for a subtle wash of colour or you can build up 2-3 layers to achieve opaque coverage. It gives a slightly glossy finish and feels super hydrating. It's like a nourishing lip balm with the pigmentation of a lipstick. It feels comfortable and almost silky on the lips, stays put for 4-5 hours and leaves my pout feeling soft and moisturised. The age-defying ingredients help to reduce the appearance of lip lines and wrinkles. The first thing I noticed about this lip gloss was the lovely scent - I am not sure how to describe it, but it is slightly sweet with notes of vanilla. It reminds me of freshly baked cakes and chocolate eclairs. Yum! 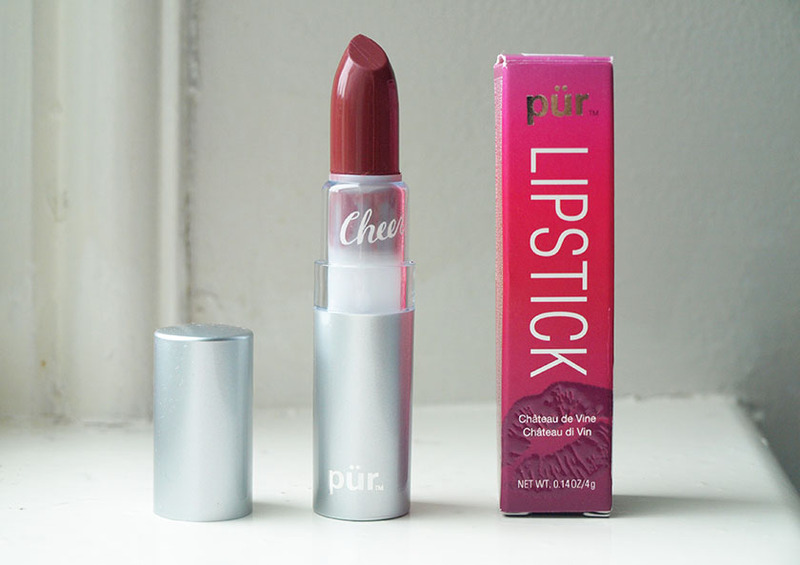 It feels lovely on the lips, with an almost velvety texture and absolutely no stickiness! It gives a high shine finish and makes my lips look super plump and full. Just like the lipstick, it leaves my lips feeling hydrated, smooth and soft. I absolutely love it! The blush is finely milled and easy to work with. I use it with the Real Techniques Blush Brush to add a flush of colour and a healthy glow to my cheeks. The gold shimmer looks lovely on the skin and helps to illuminate the complexion. The formula is meant to brighten the appearance of dark spots and uneven skin, protect, nourish and hydrate. I am not sure about all those claims, because it is hard to tell after using a blush a couple of times, but... I like using products without harsh chemicals and parabens and that's why I am very pleased with Pur Minerals. I think that the cream blush might have more skincare benefits than the powder one. 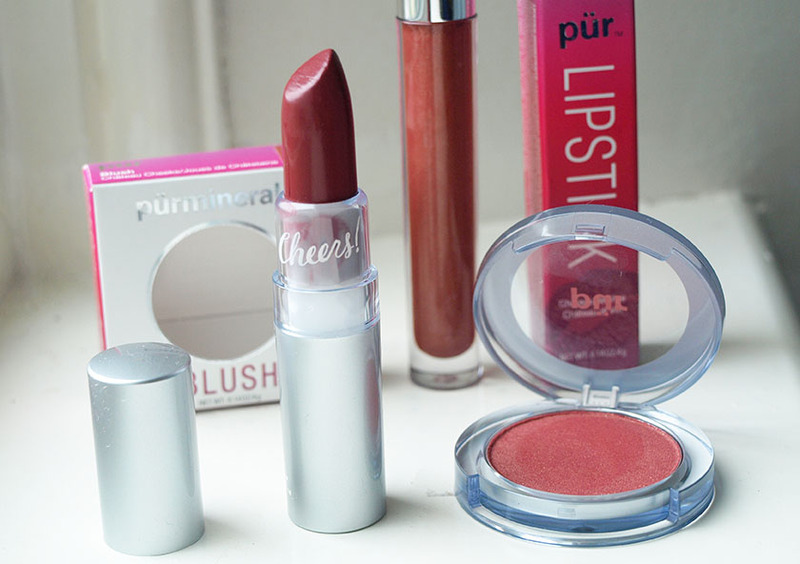 Left to right: lip gloss, lipstick, blush. Left: Lipstick in shade Debutante. Right; Lip Gloss in shade Bossy.